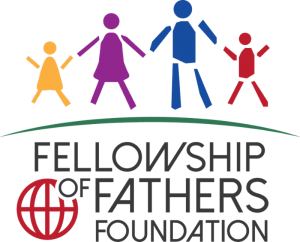 A warm New Year’s greeting from the Fellowship of Fathers Foundation (FoFF) and our Family First Global (FFG) initiative! Due in large part to the prayers and partnership of friends like you from around the world, the FoFF and FFG had an amazing year in 2018. Not only did we serve over 2M families last year, but almost every Family First Nation grew in strength and outreach and impact. In addition, a few new FF regions like Family First Sabah were started! We also finished the year very strong in terms of partnerships, resources and our God given plans for 2019. Thank you again, and thanks be to God. The Word for us in 2019 is the most powerful word in the world: LOVE. Love (along with Truth) are the answer to almost all family and marriage problems. They are also the answer to almost all community and national problems as well. LOVE (and Truth) must be what FoFF and FFG bring to each family, community and Nation that we serve. When we have the right opportunity, we must point our friends to the true source of LOVE and Truth… Jesus Christ. Jesus is our unquenchable source of Love; our eternal source of Truth and our deepest source of Joy. That is not only true for us – but for every single family in this world. In 2019, with your faithful prayers and strong partnership, we hope to serve over 3M families, open new Family First Nations like Japan, and strengthen every one of the Family First nations and regions. Please join us in asking our Father to shower us with His Love and Truth and Joy through Jesus Christ… that we might have plenty to share with each and every family, community and Nation that we serve. Thank you again for your partnership, fellowship and friendship. It is so deeply and truly appreciated.